March. The month usually associated with the end of the school year. The closing of classes. For graduates, it is taking the next step, either at the academic ranks or the professional world. 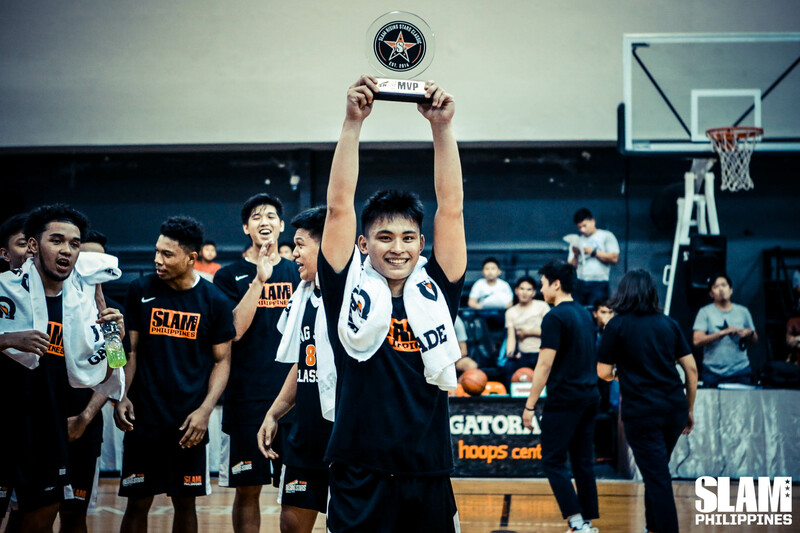 This is also the time when the annual SLAM Rising Stars Classic is held, the spotlight is focused on the upperclassmen and their final hurrah in high school basketball. With Team Punks besting Team Hype, 76-74 in the 2019 edition of the showcase, it is just appropriate that a senior was awarded the best among the lot. LSGH senior playmaker Joel Cagulangan was awarded the MVP after scattering 10 points, 5 dimes and 4 rebounds. He added to his hardware after being crowned as the NCAA Jrs.’ top gun a few months earlier. Joel won the SLAM Rising Stars MVP in dramatic fashion. All of his points came in the 2nd half after he went scoreless in the first two periods. This, while he paced himself as he continues to recover from an injury that limited his on-court time after the NCAA season. Even though he relishes this comeback game of sorts, Joel wishes that his fellow MVP in the high school ranks was there to bask in the moment. “First of all, sobrang mamiss ko ang high school, pero gagraduate talaga. Sobrang thankful ako sa opportunity na binigay ng SLAM. Kaso sayang lang wala si Kai Sotto, kasi supposedly last game niya ngayon. Gusto ko sana maging part ng last game niya.”, said Joel. “Sinuwerte lang talaga. Kasi nasa stage pa lang ako ng rehab.So parang unti-unti lang. Sobrang thankful ako kay Lord. Hindi ko inniexpct mag-MVP kasi nagpunta ako dito para makatulong lang, magset as a point guard. Nagulat lang ako sa pagkapanalo, ” added the SLAM Rising Stars MVP. Joel’s fellow seniors in LSGH and Team Punks’ teammates Inand Fornillos and Joshua David also echoed their sentiments on their last high school game. “Magandang experience ito para sa amin going into college kasi once in a lifetime lang ito. Bihira lang mangyari ito, yung magkakalaban kami coming from different schools,” says Joshua. Inand, who stomped his class as an up-and-coming force in the paint. He finished with a game-high 12 boards and had boundless energy even though he was battling a pair of towers in Geo Chiu and Raven Cortez. “It’s a honor na nakasama ako rito in my last (playing) year. Parang goodbye ko na rin ito, farewell game sa high school,” Inand said after the game. Apart from Inand, also flexing his muscle in the shaded lane was fellow graduating big Aaron Fermin. 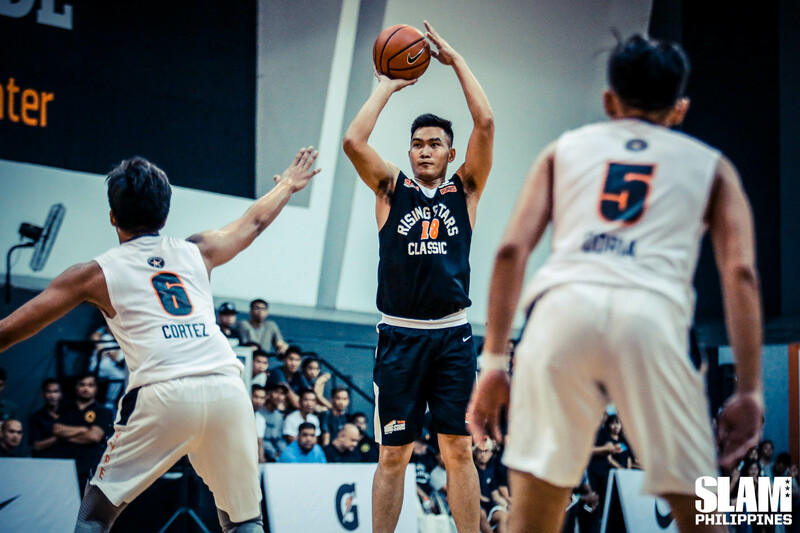 Without Kai lurking down low, the Arellano Brave showcased his repertoire as a legit frontliner, mixing his post moves with some outside sniping to contribute 10 points and 4 boards, hitting all three shots inside the arc. “Sobrang saya kasi huling laro ko dito, nanalo pa kami. Mamimiss ko ito kasi last year ko na, hindi na ako makakalaro pa dito,” quipped Aaron. Also making key contributions to Team Punks’ cause was UST’s Mark Nonoy. Each time he’s on the hardwood, the spitfire guard left everyone in the dust including his own teammates, concluding his one-and-done season in the top tier of local HS hoops on a high note. “Malaking tulong ‘yung nakuha kong experience sa HS, madami akong natutunan sa mga teammates at kalaban ko. Thankful ako na napili ako na maglaro dito sa Rising Stars kahit one-and-done lang ako. Malaking bagay ito kasi alam ko na ang dapat gawin pagtuntong ko ng college,” says the incoming UAAP rookie. 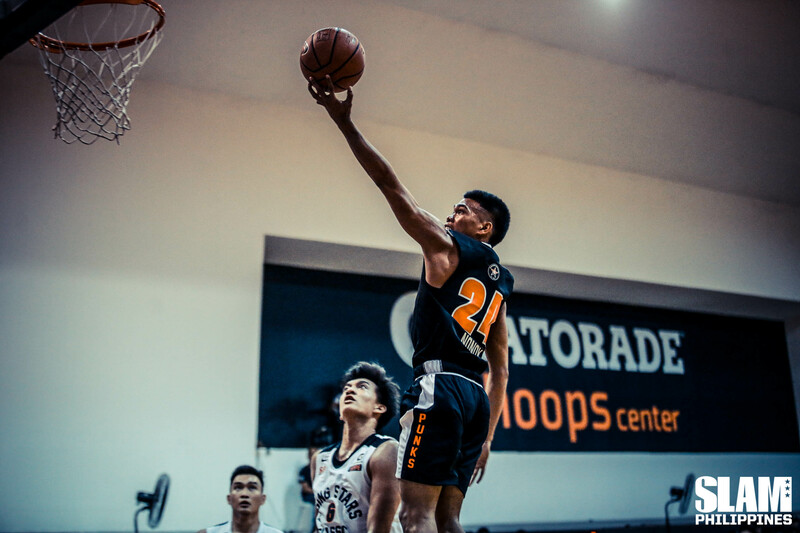 For the few who have played in successive Rising Stars Classic such as FEU’s RJ Abarrientos, this experience proved to be a defining moment of his HS career. He may not have gone on a scoring binge this time, but RJ did showcase another part of his game by firing an assortment of fancy passes, even if they weren’t counted as assists. “Sobrang thankful at naging part ako ng Rising Stars for two years, naipakita ko ang best ko. Kailangan ko pa rin maimprove ‘yung skills ko sa offense at defense,” noted the Baby Tamaraw. 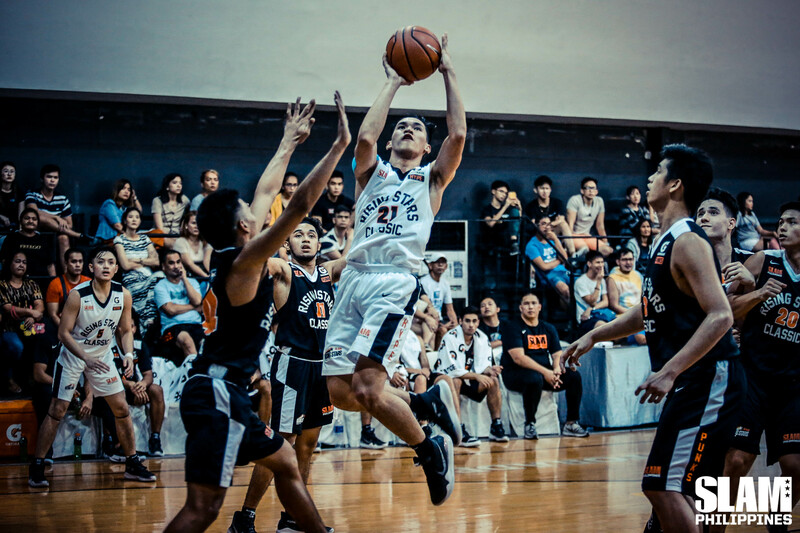 On the other side, Team Hype may have been at the losing end but it didn’t deter Joem Sabandal and John Amores from relishing their final HS basketball game. “Contended na ako sa naipakita ko sa HS, hindi ko makakalimutan ‘yung mga games tulad dito, last year overtime at ngayon muntikan pa. ‘Yung mga natutunan ko sa pagtraining with (Adamson) seniors ay nadala ko dito sa Rising Stars,” says Joem who tallied 14 points and 3 boards, looking very inch an ideal swingman in Franz Pumaren’s system. “Thankful ako kay God, kung hindi sa kanya ay wala ako rito, at sa Rising Stars Classic, na makapaglaro, makilala at maibigay ang aming pangangailangan. 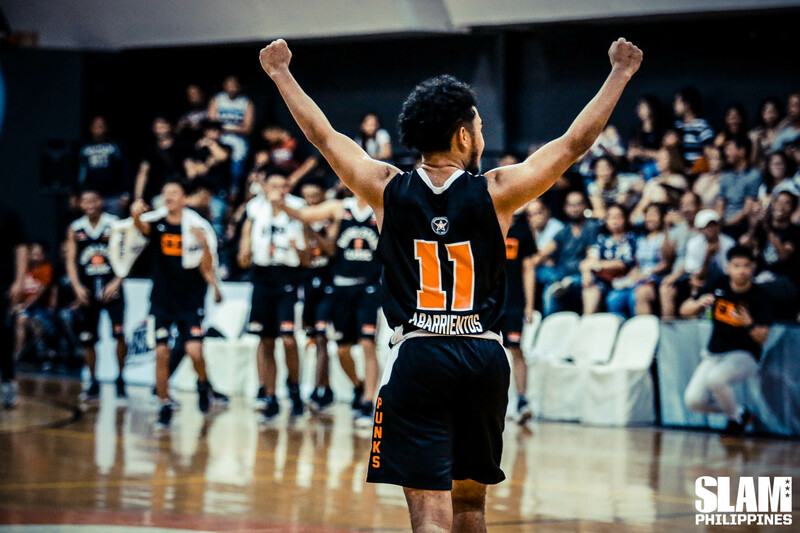 Paghahandaan ko na lang ang next level (college),” said John, who is poised to make an immediate impact on his seniors’ debut with Jose Rizal University. The faces behind the bench were also equally impressed with their respective graduating wards. “Well, as we saw, the game was very entertaining. You can see the talent level ng mga young kids. The future looks really bright for this batch especially the graduating players,” observed Team Hype coach Yuri Escueta. This year’s SLAM Rising Stars’ Classic may have marked the end of a storied journey for the graduates, but the dance isn’t over yet. Rather, they’ll be again moving to a different, faster beat, with college basketball starting in a few months’ time.